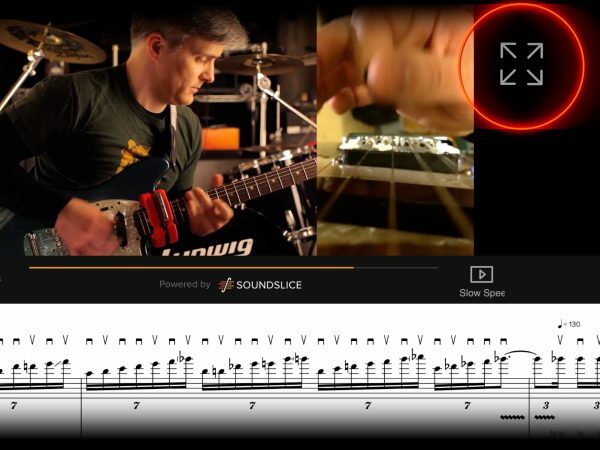 We use the awesome Soundslice player to turbocharge all our musical examples. 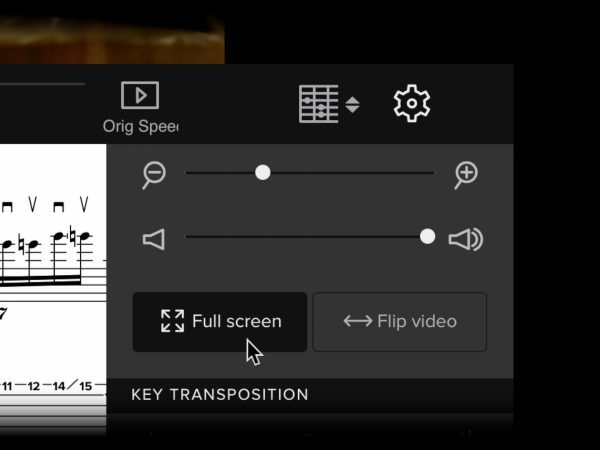 It’s software for playing music notation synced with audio and video, and it works right in your browser. 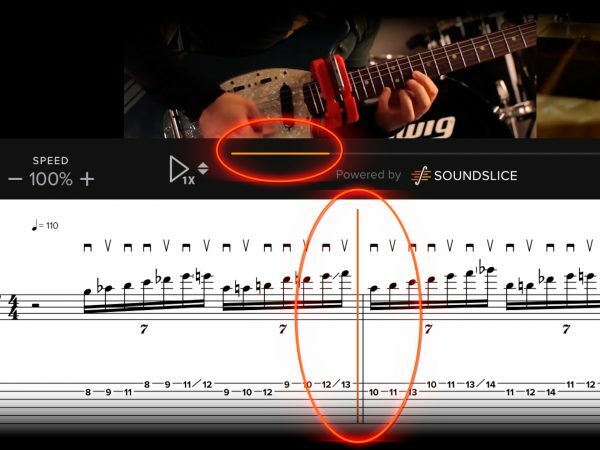 Soundslice can be used to play any combination of video, audio, staff notation, and tablature. Most of our examples use all four. Click the “Play” button to start playback. The little “1x” below the button isn’t the speed, it’s the number of repetitions. By default, we set the player to play once and then stop. 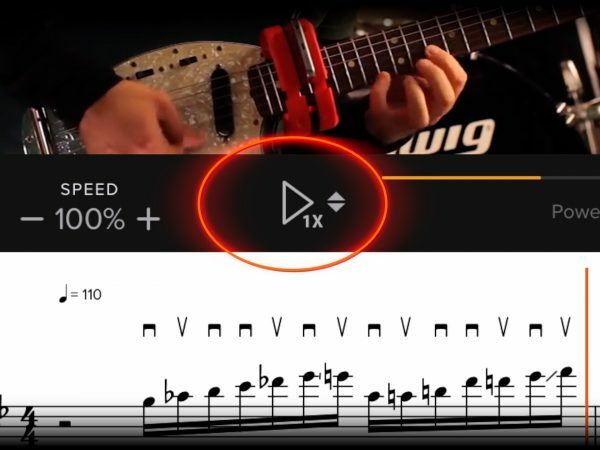 Clicking in the notation lets you start playback precisely on a given note, including the first one. But many clips include pre-roll time before the first note plays. To get all the way back to the beginning of the pre-roll, drag the play slider — the orange bar beneath the video — all the way to the left. Select a specific section by clicking and dragging across the notation. Clicking “play” will start playback from the selection start point, and automatically stop it at the end of the selection. This is great for studying specific sections of longer examples. To enable our signature hyper-detailed 25% slow-motion, click the “Orig Speed” button and select “Slow Speed”. This switches the video source to the slow-motion camera. 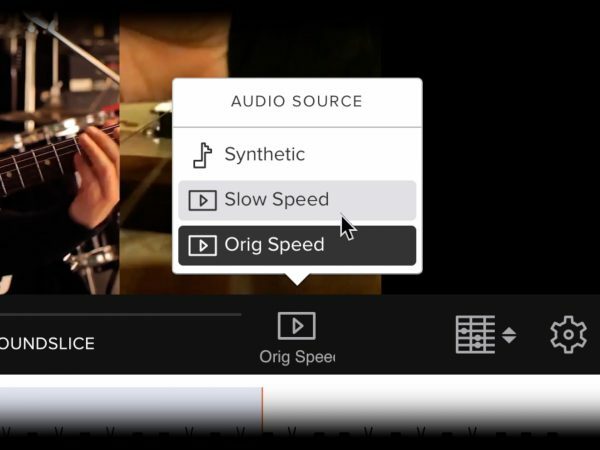 NOTE: The Soundslice built-in speed control is useful for small changes, but it will NOT load our smooth slow motion footage. Only switching the source will do that. There are two options for super-sized display. Click inside the gear menu to find the “Full screen” button. This produces a very grand, full-monitor view of the notation, with a video player at the top. To enable fullscreen video, you must enter fullscreen notation mode first. Then, click the “expand” icon in the upper right. Video will fill the screen, with a waveform display that you can use to locate specific parts of the clip. 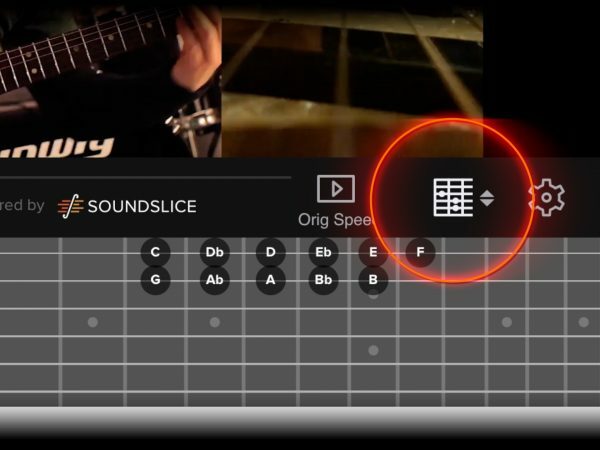 Click the “visualizations” icon on the toolbar to turn on fretboard, keyboard, or audio waveform display. 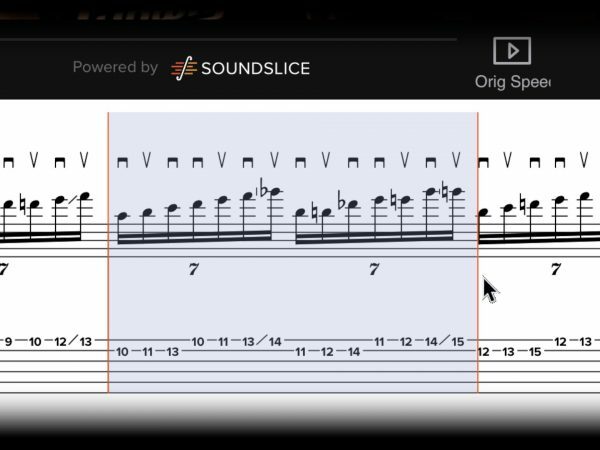 Soundslice has all kinds of other cool features, and more are added all the time. Feel free to click into the “gear” menu and experiment.